Francisco Menendez, an African slave who had escaped the British plantations in South Carolina and regained his freedom by joining Spanish forces in Florida, becomes the captain of the black Spanish militia (of former British slaves) and leads the establishment of “Gracia Real de Santa Teresa de Mose” (Royal Grace of St. Teresa of Mose), better known as Fort Mose - our first free African-American settlement! "Gracia Real" indicates that the town is established by the king of Spain. "Santa Teresa" (de Aviles) is the town's designated patrol saint, and "Mose" is the name of the area before the settlement. Born in West Africa, in the Mandinka tribe, Menendez was brought to South Carolina as a slave in the early 1700s. But in 1724, with nine other slaves, he escaped to Florida, where Spanish authorities were granting freedom to runaway British slaves who were willing to covert to Catholicism. 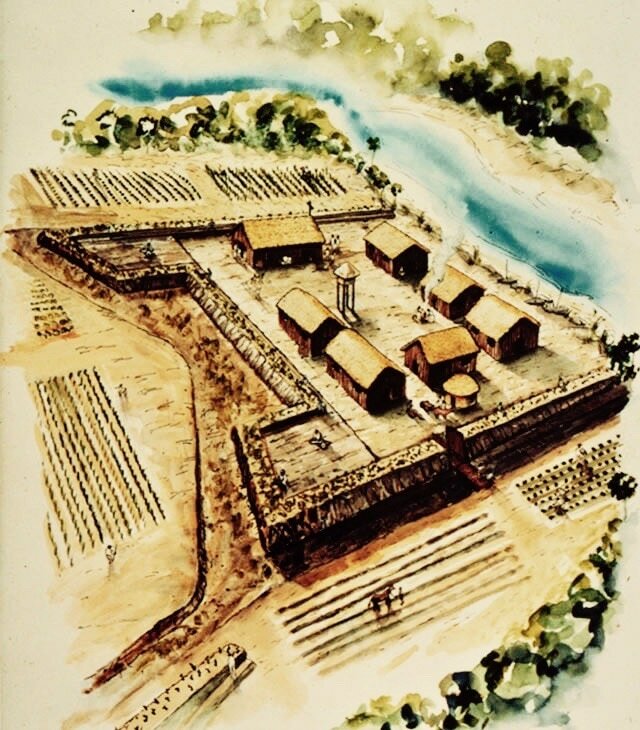 As captain of the black Spanish militia, Menendez leads the construction of Fort Mose, which was built two miles north of St. Augustine, to protect that city against enemy attacks by both land and water routes. Some 40 former African slaves settle outside the walls of the fort and create the first free African-American community in North America. Today, Fort Mose is a Florida State Park and U.S. National Historic Landmark where visitors can go back in time to the first African-American settlement.